Want to hear about this crazy little thing called triathlons? Read on. 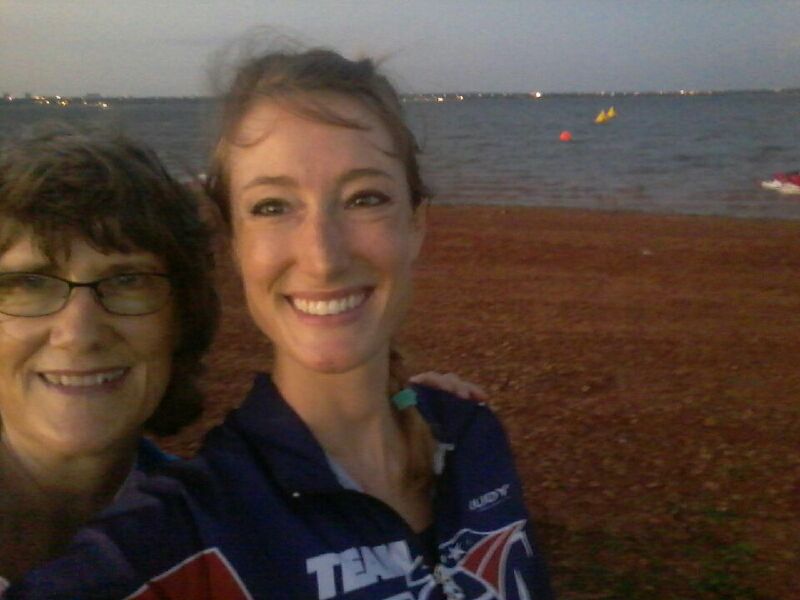 Triathlons began on a whim, after my dear friend Emily had to tell me what in the world a triathlon consisted of! It sounded challenging and i was interested. Suddenly a new passion to cross the finish line crept into my life and became a great source of joy. I am a Christian striving to glorify God, wife to an amazing husband who supports me 200%, mamma to 3 amazing children, native Californian, now living in Kansas City, seeker of adventure, the great outdoors, and friendships. Come along with me as I share about my triathlon journey. I was hooked after my first quick, fun sprint distance triathlon, and knew I needed more. My current lofty aspirations are to go the full iron distance (gulp!). Hopefully my journey will inspire you to be active, to get out there, and go for something you enjoy too! What is your passion? What makes you want to be active? What do you enjoy that helps you to do the rest of your life even better? The World Champs take place in a new location around the world. 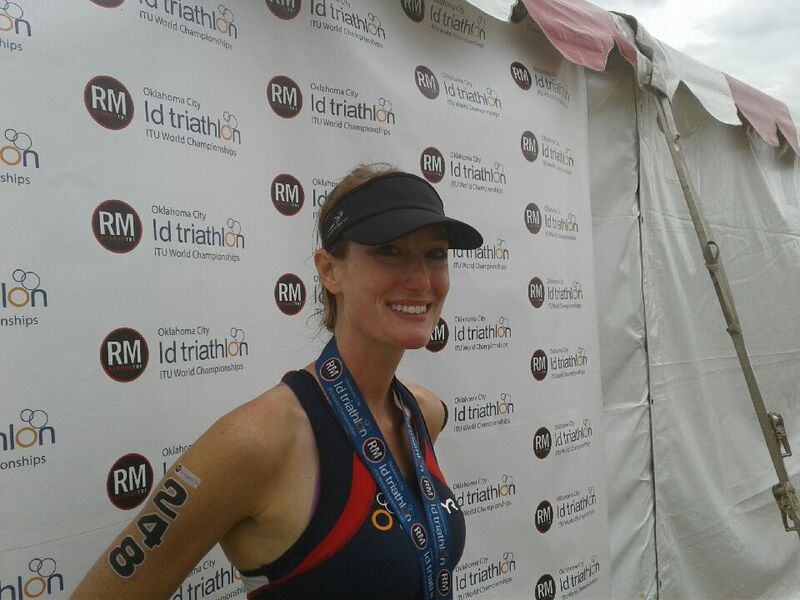 2015 it was called the Redman 70.3 Triathlon, in Oklahoma. Really great memories training for that race with my amazing friend Emily, who has a true servant’s heart and is a friend for life. She first had to explaine to me how to do a Sprint distance triathlon. (The crazy sound of it only made the appeal even better!) We started out as running friends, together we took training to the next level, and had the best time doing it. Don’t you just love how running with someone allows you to unwind together, freely talk and get to know them? You can just unload all your problems and they can as well. It’s like free therapy. So when Emily told me she had a goal to do a 70.3, at first I had no idea what she was talking about! A 70 point what? It sounded totally insane. So of course I wanted to go for it! We had a blast doing sprint triathlons together, then increased to the longer distance of a Olympic Triathlon, then getting ourselves ready for the big one. We were meticulously glued to our training plan, wanting to get it right. We took it seriously. And it was seriously fun. 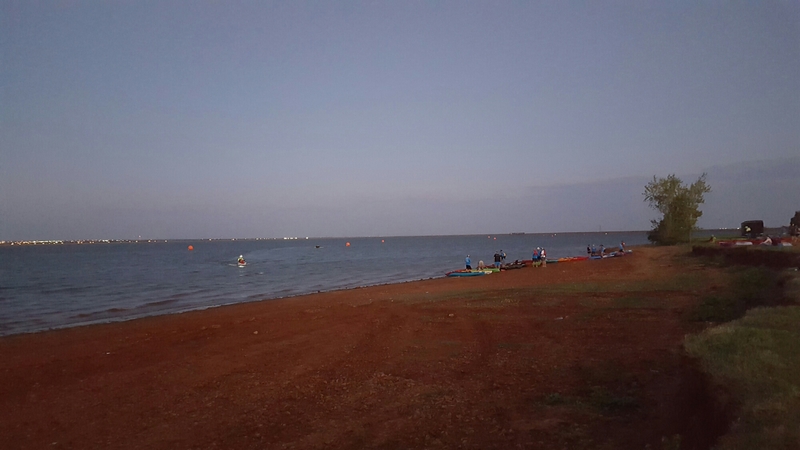 I felt totally prepared, totally hard-core, and relieved to finally make it to the Redman 70.3 Triathlon, come race day. So, with stars in my eyes, I forgot about the pain, and signed up. Yes, I’m a silly girl who wanted a new outfit. And what a cool outfit it was. Here I am after the 2016 World Championship Race which included the full iron distance 2.4 mile swim, 76 bike, and 18 run. It was a very choppy swim, a windy bike, and a stinkin hot run. I wanted to finish in 9hrs. And I predicted maybe a half hour longer if the weather conditions were bad. Which they were. I did it in 9:24. I was so proud of myself upon completing it that I cried. And hugged my amazing family. 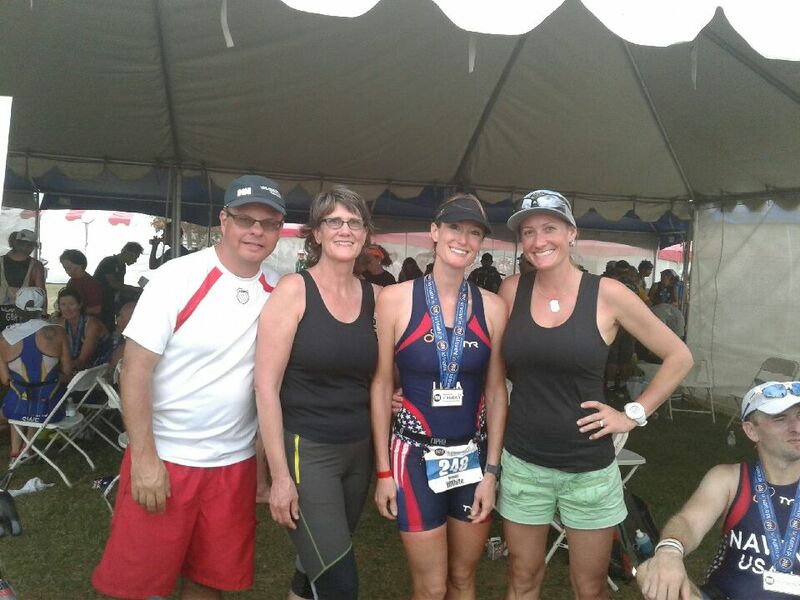 My step dad, John; my mom, Carolyn; me; and my sister, Catherine, who flew in from California to cheer me on in this race. My wonderful sister (isn’t she just darling?!) pedaled bedside me on a bike during the run, giving me just the right words of encouragement that only a best friend could. I’m ever grateful! Beginning the day, setting up, in the dark. Forgot my head lamp. Wishing I hadn’t. Getting ready to start in a few minutes. Windy morning, will there be a storm today? My spot in transition. The very last bike in the row. Good thing I’ll be able to find it easily. Unfortunately, it will take me the longest to get in and out of the transition area while pushing my bike in and out. Looking out at the water and knowing that I’ll be swimming to the farthest yellow speck out there (which happens to be a buoy, but who can tell? ), turn back, and then repeat that loop to total 2.4 miles. Oh Lord Jesus, help me! The wind was blowing strong and the waves were white-capped. Suddenly a weak buzzer sounded and most of us were like, “oh, that was it? Ok, I guess we go?” We were off! I got through it, slowly. My legs were cramping up during the last part so I decided to focus on pulling with my arms, and not kicking as much. I truly do not have a fast swim pace to start with, so I was completely shocked that I did not end up as the last person out of the water. That felt like victory by itself. 1:51 swim time. Here I am coming back in from the 76 mile bike course, feet out of my shoes, ready to jump off and run into transition. My bike time was 4 hrs 3 min. It had started off pretty easy but then the day got windier and windier as it went on. I felt like I pedaled hard the entire time and never let up. 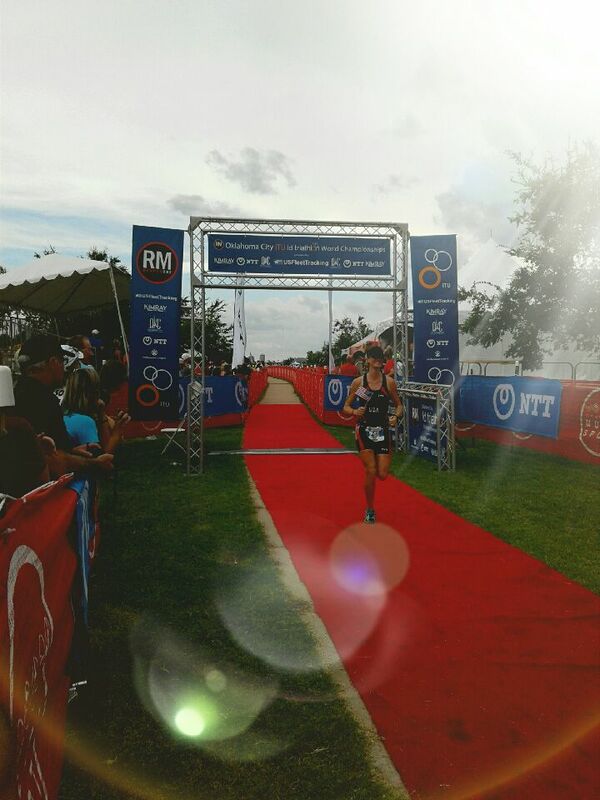 I knew this was the part of the race where I could recover a lot of ground because my swim isn’t very strong. And I did pass a lot of people. It was encouraging! My hydration system (water bottle attached to my handlebars with a cool straw for easy drinking access) fell apart halfway through the route, but I kept going strong! Grasping at the pieces and kept on biking. Crucial to be able to run well later, you must eat during your bike for a long event. I ate a Pro Bar at the beginning and another again, a half hour before finishing. I really love Pro bars. However, I now suspect that taking in two of them overdid it for my digestive system. I had trained for this race while eating one Pro Bar and dates every hour for energy on each long bike ride. I made the totally embarrassing, novice mistake of not racing with what I trained with. I used gu (a simple carb gel in a little packet), instead of my usual dates. Nothing new on race day! I can’t believe I broke that simple rule! So that may have been why my stomach was so upset. Or it may have happened anyway. It was so hot, and they say heat can cause g.i.distress too. Here I am, sadly walking during the run portion due to stomach pains. That is significant because I never walk during a race. I was miserable. Finally, after putting it off for 14 miles of nausea, I used a porta potty and pretty soon I was back in business. Should have done that earlier! During the last 2 miles I finally felt like I had my own two legs on again. I was able to finish strong! 18 awful miles! Ruth Sawkins, friend from Team USA and I, feeling beat up and relieved to be done. Tired. Sunburnt. Wind whipped. Dirty. Yet overcoming something that hard is magnificently satisfying. Determined and stubborn, I continued when it was hard, when it seemed impossible beyond impossible, pushing through to the very end. This experience was intense. It took courage to even begin. To even get in those treacherous waters. Once begun, I never considered quitting. I dug deep, focused, and pushed through in order to sustain those 9 hours and 24 minutes. The finish line announcer exclaimed that I had the biggest smile they’d seen all day! Everything I had, including my stubbornness, got me there. I cannot fully explain the tremendous feeling of accomplishment I felt after crossing that finish line. I love how racing parallels life so closely. What have been your most challenging endeavours? I’d love to hear about them! When did you try something big that you are glad you pushed yourself to do? 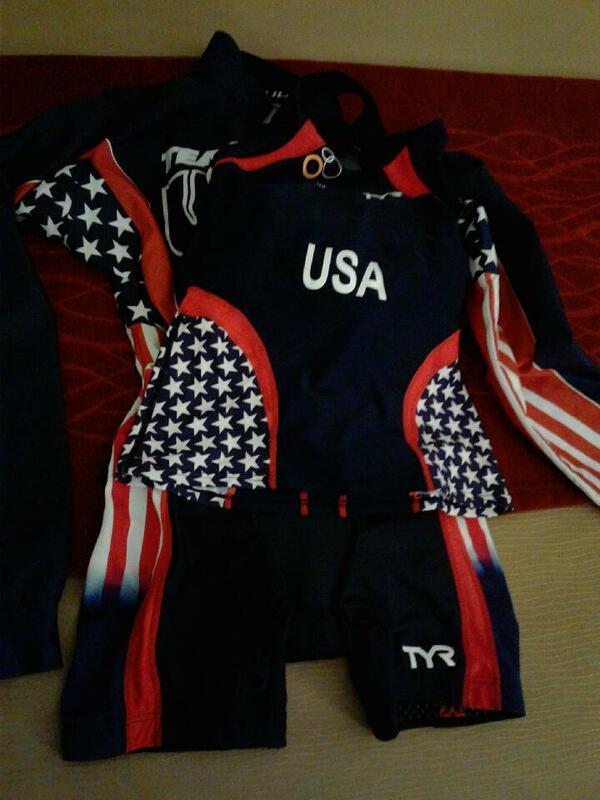 And now, this upcoming weekend, I will be racing Ironman Louisville (gulp!). Follow my blog to receive email updates on new posts. Feel free to share my triathlon journey with others! Thanks for the support! So inspiring! You are such an inspiration! I’m so excited to read along in your journey! Tara, From such an amazing girl, that means the world to me! You’re an inspiration to me!